Guest Wi-Fi is provided at sites using username based Wi-Fi services for visitors to the site or offices. They can access it for 6 hours before being asked to reconnect. 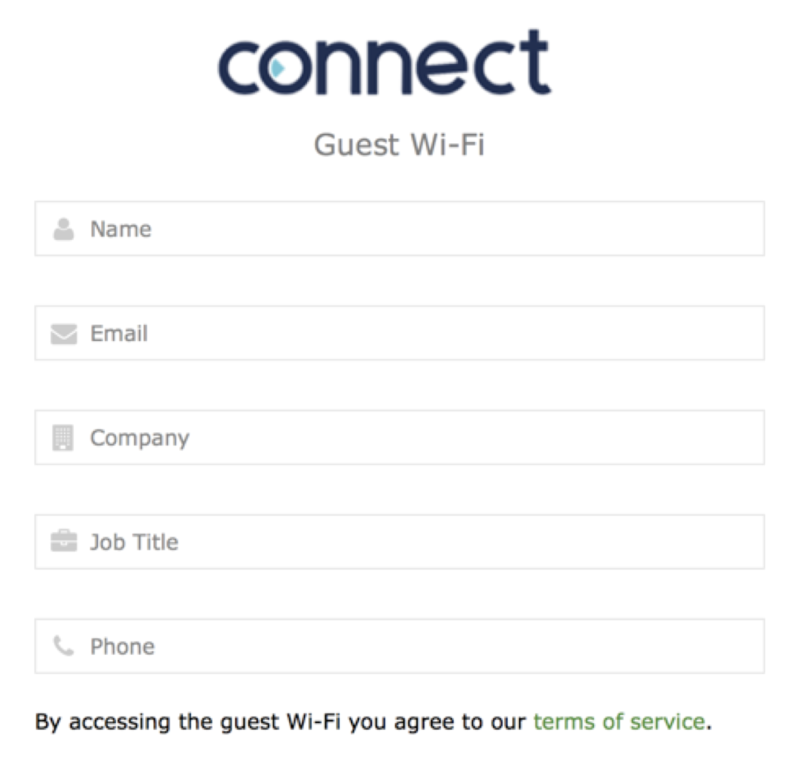 Select the network 'Wi-Fi guest'. From here the guest user will either immediately, or when opening their browser, be taken to a login screen. The guest user should access their details and click Access. They will be given 6 hours access to the wifi, after which they will return to the splash screen to re-enter their details. 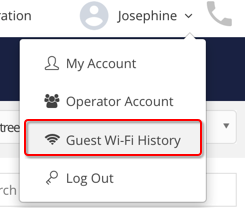 A list of past users of the guest Wi-Fi can be found under the button with your name, at the top right of the screen. Here you will find a table containing the details that the user enters into the splash screen (above). If you have members who pay to utilise space at your sites, but are not full time residents, you can provide a 'Lounge' network for them to utilise as an alternative to using the Guest Wi-Fi. Learn more here.